Christopher McCambridge is a Special Educational Needs teacher at St. Colman’s Primary School, Lambeg. St. Colman’s Primary is a mainstream school of 400 pupils with two learning support unit classes. Christopher is also an active member of the Belfast art scene. 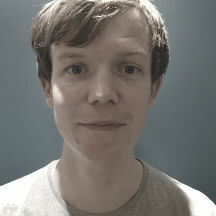 He co-founded the arts organisation Belfast Platform for the Arts (Platform Arts) in 2010, which continues to provide an exhibition space and studios for artists. In 2016 Christopher and his Primary 6/7 class were chosen to take part in the Kids’ Own Publishing Partnership ‘Virtually There’ project. ‘A virtual artist in residence project which explores the potential for creative engagement between artists working from their studio and children and teachers in the classroom using video conferencing technology’. (Orla Kenny, Creative Director of Kids’ Own Publishing Partnership). Now in their 3rd year, artist John D’Arcy has been working collaboratively with Christopher and his class at St Colman’s P.S as virtual artist-in-residence. 2018 marked the completion of my 2nd Year working as part of the Kids’ Own, Virtually There project. The two years have flown in and I have found that the pupils throughout those years have been given an enjoyable and unique experience. This project has also helped me to develop creatively as a teacher and an individual. This development was furthered through the ‘creative away day’ that the Kids’ Own organisation offered to all the teacher – artist groupings. Each teacher-artist grouping would be able to organise their own creative away allowing us the opportunity to re-charge our creative batteries, broaden our horizons and prepare for the next project year. After much discussion, John D’Arcy (Artist) and I decided to take a day trip to Dublin to view a number of exhibitions that we both found of interest. These exhibitions included Land / Sea / Signal at RUA RED in Tallaght and ‘Prototypes’ by Doireann O’Malley, Rachel Maclean ’Just be yourself’ in The Hugh Lane gallery. The exhibitions involved the use of digital technology, an aspect that has been integral to our project. The journey to Dublin provided us both with an opportunity to reflect on the project from the previous year. Discussing aspects such as the pacing of the individual elements of the project, aspects of planning, pupils’ enjoyment, as well as discussing what we felt worked well or could be improved. This time, especially outside of term time, was invaluable as it allowed us to discuss the project without any other distractions. In Year 2, the central theme of our project was Hacking. This word was the starting point from which all other ideas would develop from. I felt this worked particularly well as it meant we could develop ideas from this central theme, allowing ideas to either develop as stand-alone lesson or develop into their own mini-project . This flexible approach, gave me more confidence in allowing each idea to develop at its own pace, with the children developing and realising their ideas across a number of weeks. Thus, allowing for a greater insight into the work. This is an aspect which I hope we further refine, allowing the children to critically reflect on their workings within each session. During our first two years working together, technology has played an important role within our projects. This year the use of apps had allowed the children to explore hacking in a variety of ways. In one of the mini-projects we focused on the ‘hacking of time’, exploring how we could speed up or slow down different movements from the mundane, the children completing work, to the more exciting, running a race. This mini-project was achieved through the app Hyper-lapse. I felt the variety and use of different apps had engaged the children. These apps were later used by the children to create a ‘coded film’ which the viewer was required to hack, using a code developed by the children during our sessions. Due to an interest in technology, I was interested in viewing these exhibitions in Dublin. The exhibition, Land / Sea / Signal, was a group show featuring artists, Alan Butler, Gregory Chatonsky, John Gerrard, Nicolas Sassoon & Rick Silva and Santa France. The exhibition brought together these artists whose practices ‘mediated on the materiality of internet infrastructure and the complex socio-political conditions that are embedded within them.’The exhibition examined our modern day relationship with the internet, particularly how we ‘maintain, update and adjust our relationships … and reconfigure ourselves through technologies and with one another. As with any exhibition, there were artworks which held my interest longer than others. In Land / Sea / Signal, the artist Alan Bulter piece was one of these. The artist documented the lives and experiences of the homeless … within the video game, Grand Theft Auto V. Upon first viewing I had initially mistaken these photographs as documenting real people in the outskirts of rundown cities. Once realising my error, I was taken aback by the uncanny resemblance to the real-life and how unfortunate circumstances can lead to these positions for people. 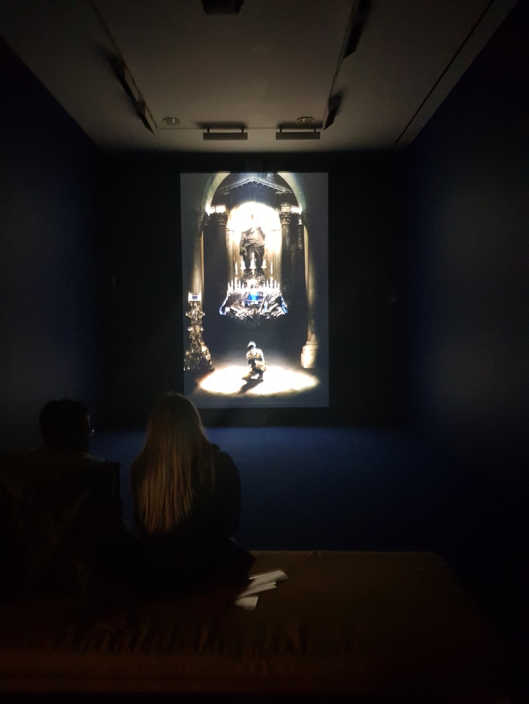 After exploring RUA RED, we moved on to the Hugh Lane gallery to view the exhibitions by Doireann O’Malley and Rachel Maclean. 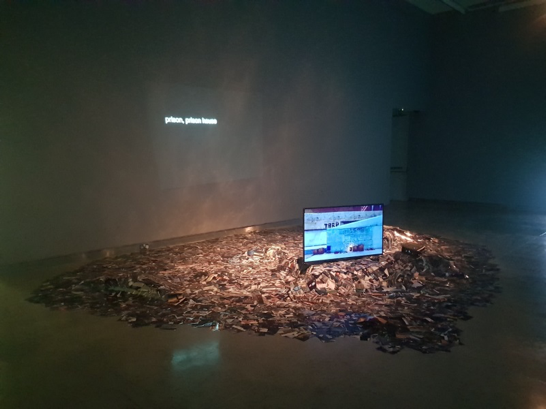 Some of the work of Doireann O’Malley was as a result of collaborative methodology, using a combination of CGI, film and Virtual Reality of interest. This was of interest to both John and I, as we have discussed the use of Virtual Reality as a line of enquire in Year 3 of our project. Rachel Maclean’s exhibition ‘Just be yourself!’, also at the Hugh Lane gallery, was a series of video installations and digital artworks. Her work uses “satire to critique consumer desire, identities and power dynamics … she parodies fairy tales, children’s television programmes, advertising, internet videos and pop culture … combining her interests in role-play, costume and digital production in works of cinematic collage. I would like to thank Kids’ Own and their funders for giving John and I the opportunity to organise this creative away day. It has provided us with the opportunity to discuss and critique our project work to date and allow us to view exhibitions that could influence our thinking for future ‘Virtually There’ projects. Year 3 of our ‘Virtually There’ project is currently underway, and as documented in my previous post, we are exploring the theme of ‘Radio.’ We have developed our own radio identity, WECHO FM. Since my last post, the children have created their own DJ names, such as Smooth T, Aidan Big Shot, Jump Bam Sam and Charley KAPOW to name a few. They have also used these names to design portraits, using a variety of different materials and techniques, which reflect their radio personalities. As the project continues to grow and develop, the children are beginning to record talk shows, news stories, weather reports and create music and jingles, advertising WECHO FM and their own individual shows. At the end of the project, we intend to visit a local radio station, where we will have the opportunity to play our content to a live audience. The ‘Virtually There’ project continues to allow the children the opportunity to express themselves artistically, as well as giving me the confidence to step outside my comfort zone and develop as a teacher.